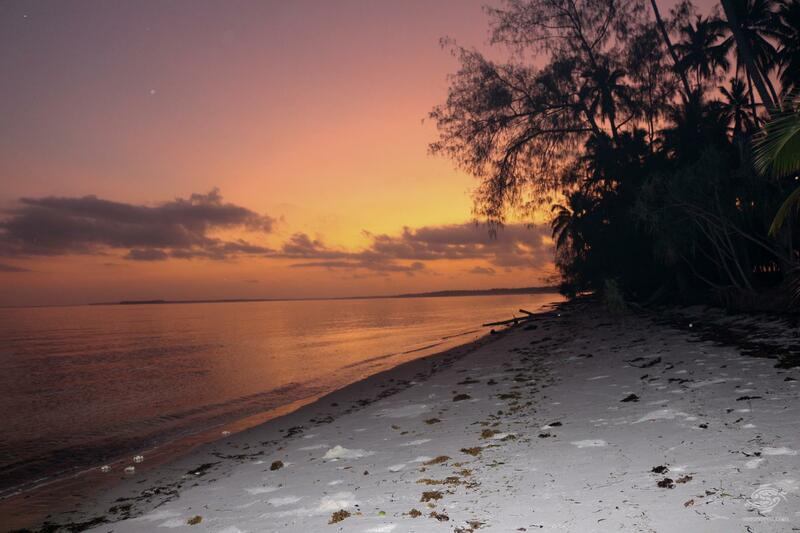 Mafia Island is situated 25 km from mainland Tanzania and is approximately 130 kilometers south east of Dar es Salaam. The island is 48 kilometers long and 17 kilometers at the widest point. 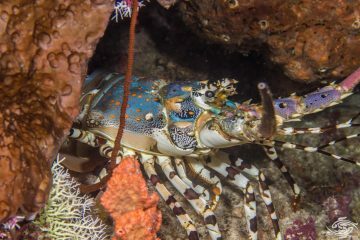 There are several smaller islands in close proximity and in the south east, which help form Chole bay, around which most of the recreational diving centers. Long isolated because of the difficulty of getting there, the island has a new tarred runway and is reachable from Dar es Salaam by light aircraft. A tar road connects the airport to Utende in Chole bay where many of the resorts are. Coral reefs run up the east coast from the tip of the island in the north down to Tutia reef which runs south of the island. Fringing reefs run off of Juani and Jibondo island. Chole Bay being about 50 square kilometers is formed in part by these islands and ranges from 1 meter to 28 meters in depth with the topography ranging from coral reefs to sand bottom and mangrove areas. On the west coast the reefs are more scattered and there are large areas of sea grass. 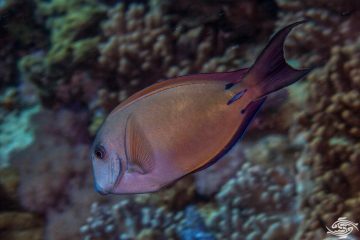 The island is on the edge of the continental shelf and is visited by pelagic fish drawn in by the wealth of life on the reefs. 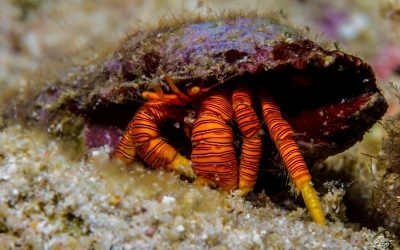 The island has some spectacular diving, among the best if not the best in Tanzania and it has some world class dive sites. The Mafia Island Marine Park which covers the south of the island is fairly well policed particularly in the Chole bay area and the sea life is excellent in this area. The island has a long history with free diving, in the days when it fell under the rule of the Omani sultanates pearl divers from the Persian gulf used to travel to Mafia every year to harvest mother of pearl and pearls from the oyster beds south of the island. Even in the days of German rule in the early 1900’s the customs records show that one of the main exports was mother of pearl. This once thriving industry no longer exists although the WWF have made attempts to reintroduce it on a sustainable basis. 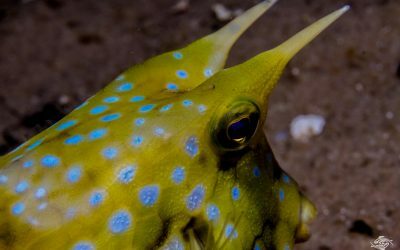 The island is a divers paradise and has almost every type of dive site conceivable, walls, pristine coral reefs teeming with life, reefs dominated by soft corals and algae, fringing reefs, sea grass beds with seahorses, mangroves and much more. There are beach dives and boat dives.The resident population of whale sharks on the west coast is a further draw card. The main current affecting Mafia Island is the East African Coastal Current which flows permanently northwards. It has a maximum speed of 4.5 knots during the south east monsoon in June to July. The north east monsoon in December to January slows down the current. The flow of the current along the island is affected by reefs and small islets and the tidal currents which range up to 4 meters, further complicate the currents. Local knowledge of the currents is very important particularly in the entrance to Chole bay. 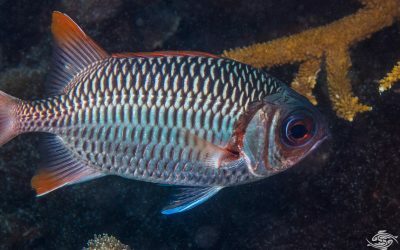 The permanent current transfers planktonic sea life from the Indian Ocean directly onto the island contributing to the profusion of life in the area. 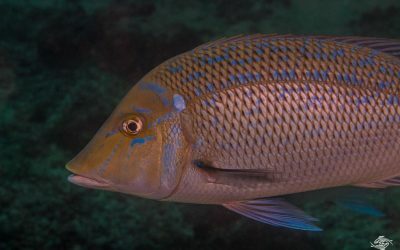 This life is further enhanced by the nutrients flowing into the Mafia channel from the Ruffiji delta, spilling around the edges of the island making this a unique underwater environment. The tidal range is between 1.5 meters on neap tides to a maximum of 4 meters on a spring tide. The north east monsoon which blows between November and March and is known locally as the Kaskazi is associated with temperatures of between 28-34 C and higher surface water temperatures with few showers and moderate to strong winds. From June to October the climate is cooler and drier going into the South East Monsoon known locally as the Kusi, but it has the strongest winds until approximately November. Between seasons, March toApril and October to-November there are usually calmer periods and these are known locally as the Matlai. The island has two rainy seasons, the long rains between March to May and the Short Rains between November and December. The time between July and October is the driest period. Average rainfall is around 2000mm per year. Surface water temperatures are seasonal in the coastal waters, between July to September the surface temperatures are around 25 C going up to 29 C on average but often local conditions can go as high as 30 C during the North East Monsoon from January to March. The depth of the upper mixed layer varies from 20 meters ( March and November) to 100 meters ( June-July) due to the seasonal variations of wind speed and direction. Water temperatures on Mafia average 26 C year round. 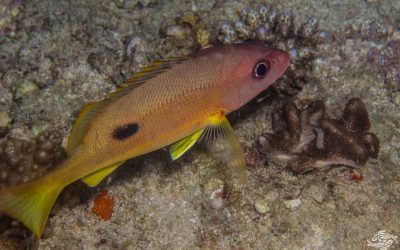 Surveys done on the island have noted Three Hundred and Ninety Four species of fish belonging to 56 families. 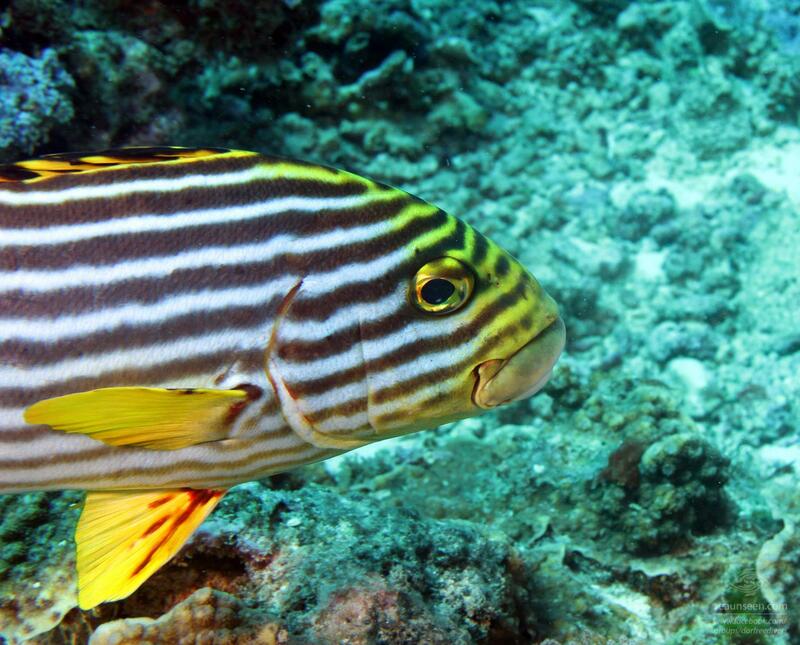 The fish life is remarkably good and it is common to see large fish of a variety of species. A resident population of whale sharks is active near the island on the west coast and from November to December the sharks feed close to the surface and it is possible to free dive with them. In late November and December one is virtually guaranteed a dive with the whale sharks and in the early morning their fins can often be seen from the beach in front of Butiama. Read more about whale shark diving on Mafia here and here. From August to October the Mafia channel running between the island and the mainland is visited by hump backed whales and whale viewing trips can be arranged if there are whales in the vicinity through Butiama. The females calve in the area and often newly born juveniles can be seen with their mothers. In studies done on the island, 273 species of coral in 63 genera and 15 families have been documented making the east side of the island a real underwater garden. 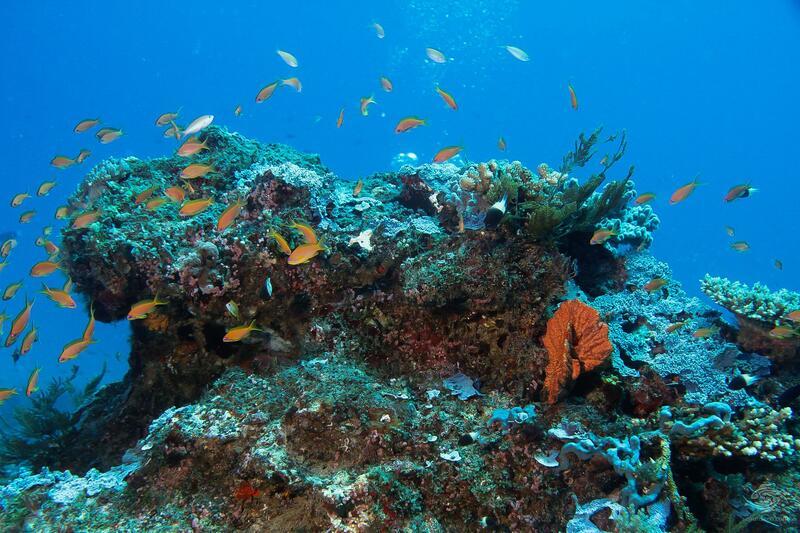 Both hard corals and soft corals are well represented. In Chole bay there are some reefs that are dominated by soft corals and algae. Two species of turtle, the green turtle Chelonia mydas and the Hawksbill Eretmochelys imbricata have breeding sites on Mafia and the surrounding islands and the nests are guarded and supervised by Seasense. Egg laying takes place for Green turtles between December to January and the Hawksbill lay between April to June. Green turtles are the most common species in Tanzania and Mafia, feeding on extensive sea grass beds found along the Tanzanian coast. 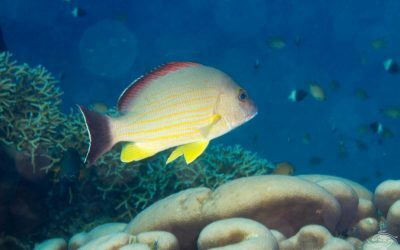 Hawksbills feed on sponges and are often observed by divers on the coral reefs off Mafia Island. Olive ridley, loggerhead and leatherback turtles are found in Tanzanian waters but do not nest in Tanzania. 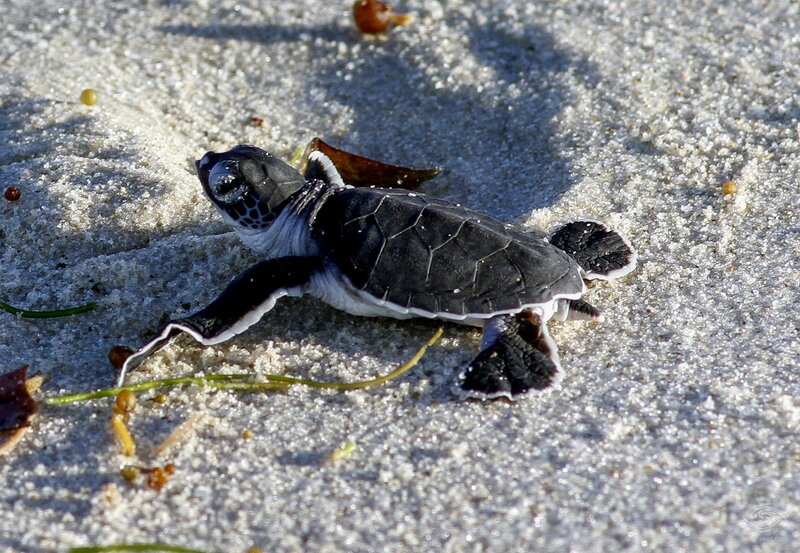 Turtle hatchings can be viewed and most Lodges will be able to assist with making arrangements to view these or you can check the Seasense web site for hatching dates here. A young turtle just hatched on its way to the sea. A small community of Dugongs is known to remain off the west coast of Mafia and research is currently being conducted by Seasense to determine the size of the population. 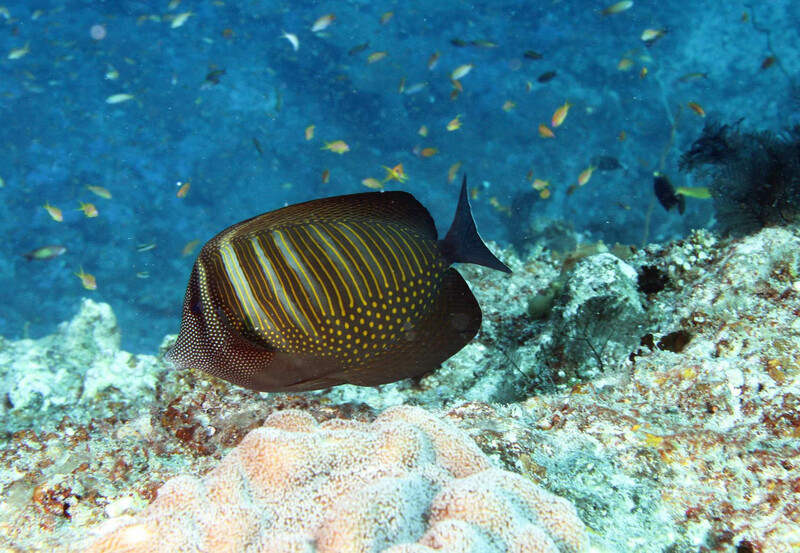 The most popular dive sites are situated at the southeast of the island at Chole Bay, which is within the protected Mafia Island Marine Park. 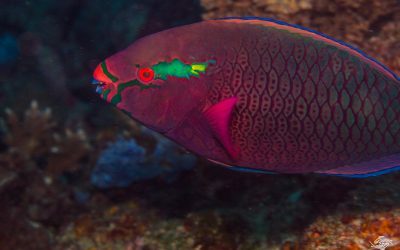 The park is famous for its pristine reefs and abundance of fish which range from large groupers to healthy populations of clownfish in their host anemones, butterfly fish, damsels, sea goldies, sweetlips, angels, various wrasses (including the massive Napoleon wrasse!) 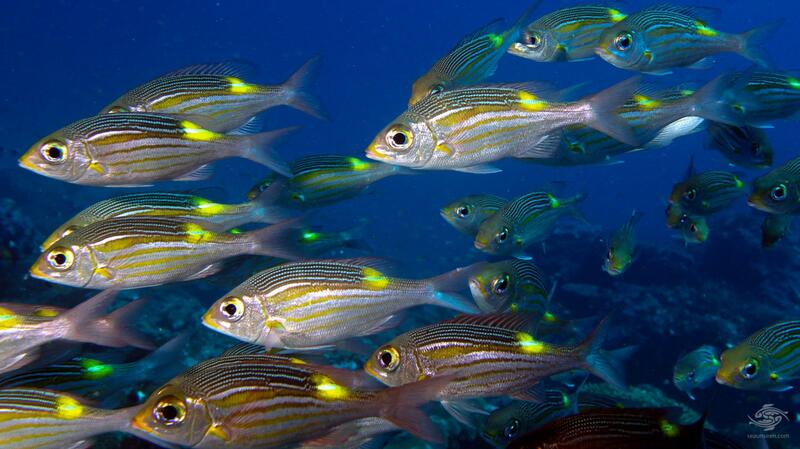 hogfish, fusiliers, crocodile fish, rock cod, surgeon fish, triggerfish, cowfish and many more. 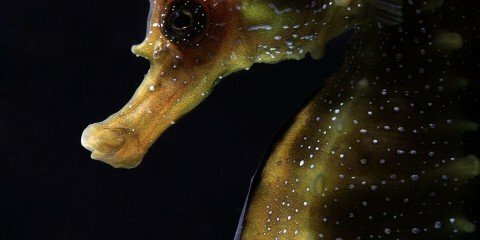 Some of the dive operators have sites that have a population of seahorses on them and ornate pipefish can be seen at certain times of the year. 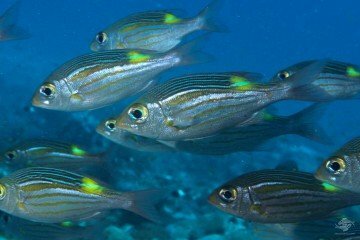 Large shoals of Barracuda, bream and other pelagic fish are also seen at varying times of the year as well as large numbers of turtles. 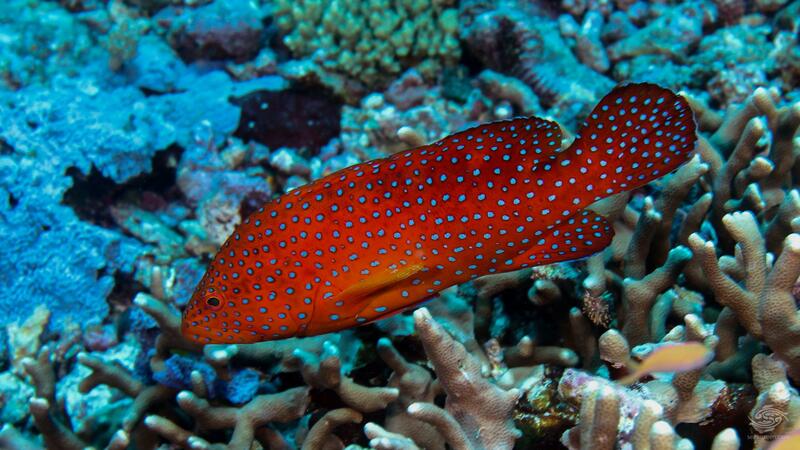 There is a large diversity of hard and soft corals, anemones and other sea life such as nudibranchs. Because of the four meter tidal differential in Tanzanian waters, there are strong tidal currents into and out of Chole Bay. 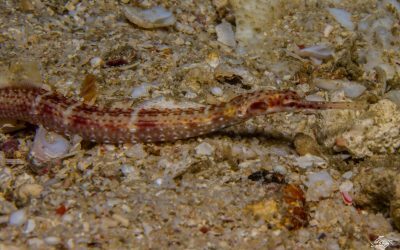 This can make for exciting drift dives especially around spring tides, when the incoming tide can give one a speedy ride into the bay over the reefs. Scuba diving is done both inside the bay and outside with visibility, at times, up to forty meters, dependent on the winds and swells. Depths vary between shallow 8 meter dives to 30 meters off the walls. There are several dive operators in Mafia mainly based out of Utende at Chole bay, they are Mafia Island Diving, Big Blu Diving Center, Pole Pole, Kinasi Lodge, Shamba Kilole and Chole Mjini . 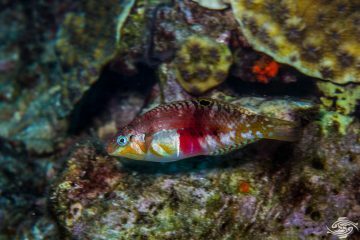 The main dive sites out of Chole Bay are as follow, we have dived and reviewed the ones with links and will in the near future dive and review the remainder. Off the west coast of Mafia there are numerous coral reefs, many of the smaller ones particularly far out in the channel have been badly damaged by dynamiting and having had nets dragged across them. Sefo Reef to the North of Mbewju Island has heavy damage on the top but deeper down the reef is not as badly damaged and it is not a bad dive depending on the visibility. The diving off Mbweju Island is reportedly very good but we have not dived this site yet. It used to be a famous fishing spot for game fish in the 1960’s so has potential. 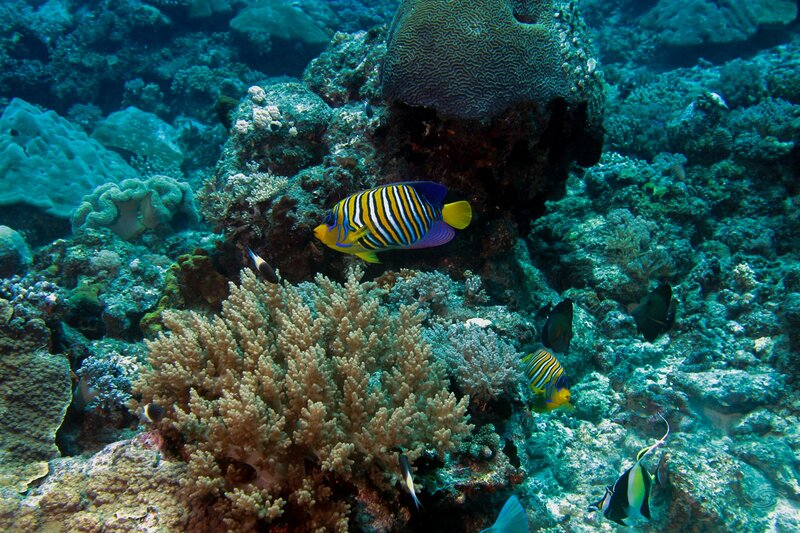 To date no dive operators are diving these reefs so your own boat and equipment are required. To the east of the Main Island off the south of Juani island lies Tutia Reef, extending down some eighteen kilometers below Mafia which has some has amazing diving conditions. Towards the end of the reef there is a gap in the reef which makes for a sheltered anchorage if the wind is right and the diving in the area is very good. The north east point of Mafia Island also has some really spectacular diving. Currents are strong running at up to 4.5 knots and this is not a dive for the faint hearted because the current can push you along at quite a speed. From the inter tidal coral rag along the coast the bottom drops off in a series of steps going down very deep past the limits of recreational scuba diving. 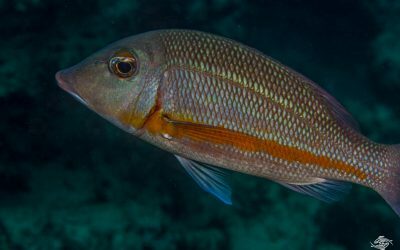 Because of the strong current and abundant nutrients flowing into the area from the Ruffiji delta there are large numbers of game fish, ranging from dog tooth tuna, giant trevally, blue fin trevally, Spanish mackerel and pompano. Marlin and sailfish also frequent the area. Turtles, blacktip sharks , whitetip reef sharks and even a whale shark were sighted. 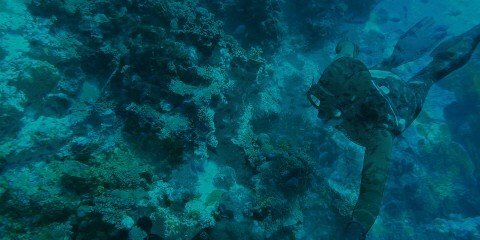 There are some extremely large groupers deeper down the reef. We saw a 2 meter Potato bass which looked large until a 3 plus meter Brindle bass swam up to it and dwarfed it. Kinasi Lodge are running adventure dives in this area through their camp in Lua Cheia but we have not dived any of their dive sites. 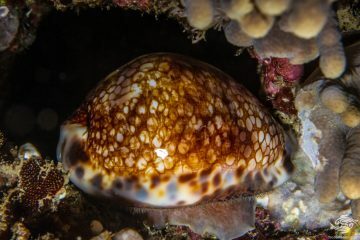 There are some excellent snorkeling spots in Chole bay, the islets near the seaward entrance have good life and visibility at the right time of the tide and some amazing photographic conditions as the light is fantastic. The largest bubble coral we have ever seen, in excess of one meter in width is situated on one of these islets. Best dived on a neap tide near the change of tide. There are also some really good snorkeling conditions just off the mainland south of Chole Bay, again tide dependent as the current can be strong in the gap. 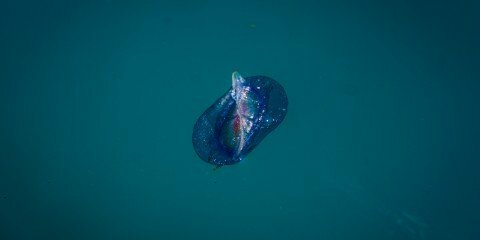 Snorkeling off the beach on the west coast is not as exciting as the east coast but there are no strong currents and one will certainly bump into small blue blubber jelly fish, spotted jellyfish, moon jellyfish and on occasion the nomad jelly fish. As they are slow swimming one can safely swim around them. 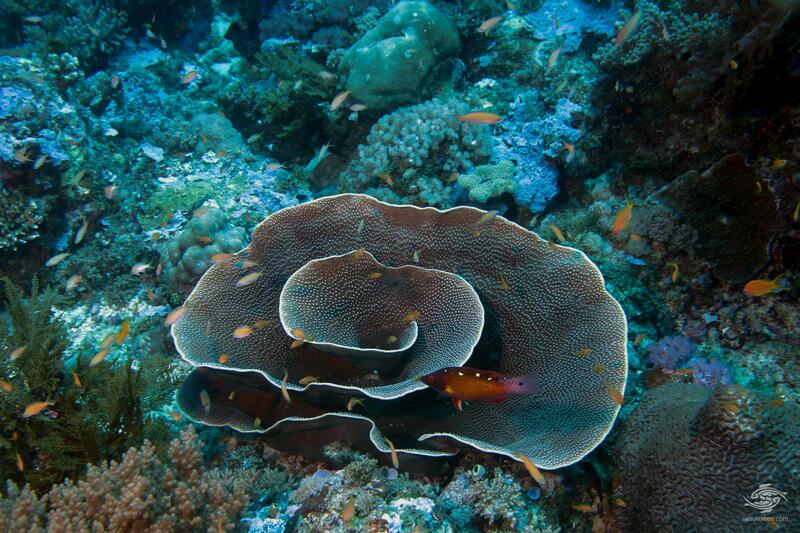 There are some interesting small coral reefs in the Mafia channel and Butiama run day trips out to these reefs. 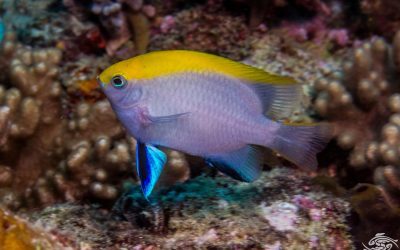 For those less adventurous diving on the top of these reefs in current free waters among the myriad of colorful reef fishes can be a stimulating experience. Fanjove island which can be reached by a flight to Songo Songo island and a boat trip, is a new dive destination but we have not dived their dive sites. Diving in the area should be good though and the visibility in this area has been phenomenal when we have been through it by boat. We all know you cannot scuba dive for at least 18 hours before flying so often there is a day without diving! A day trip around Chole island to see the large fruit bats, the second largest species of bat in the world with a wingspan of up to one meter is a good trip and a visit to the old Shirazi ruins of Kua on Juani Island also makes for an interesting day trip as does a trip to a sandbank for lunch. Our favorite though is a trip to the Blue lagoon. On the bottom of Juani island is a sink hole that is filled with crystal clear water that is an amazing blue color and filled with upside down jelly fish that don’t sting you.A slow trip down to the blue lagoon in a dhow makes for a relaxing start to the day. There are a few small fish and lots of placid upside down jellyfish sitting on the bottom pulsating away. One has to be careful not to stir up the silt on the bottom otherwise the clarity of the water drops off. It is a wonderful experience and in a small group it feels as though you are in the garden of Eden! 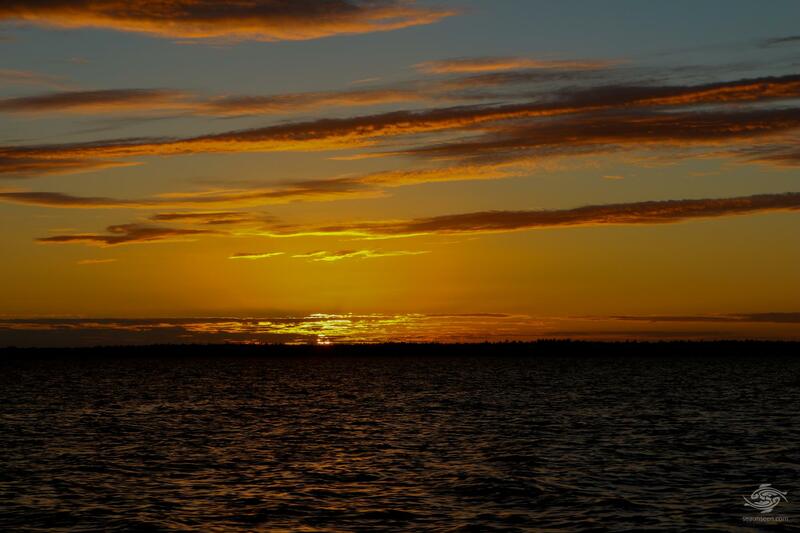 Trips can be arranged through Mafia Island Diving and the cruise back at sunset is an unforgettable experience. Another beautiful spot to visit is Ras Kisimani where the remains of the old city state, an offshoot of the larger settlement on Kilwa, are found, the beaches on the west side of Ras Kisimani are in pristine condition and one can enjoy the entire beach to ones self. A day trip along with a cooked meal can be arranged through Butiama. To be alone with a friend on a long white tropical beach with dhows sailing past in the distance seems to slow time right down. 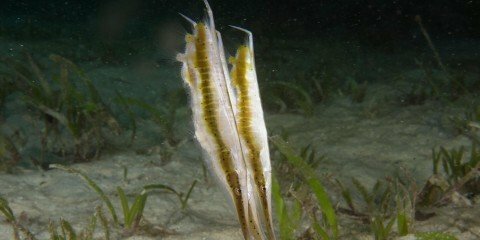 There is invariably always somewhere good to dive on Mafia because of the variety of diving sites but some times of the year are better than others. 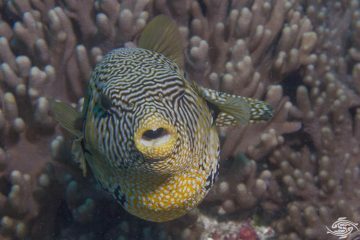 The best visibility we have seen has been in June to August when the Island is cooler but we have had good dives through out the year. 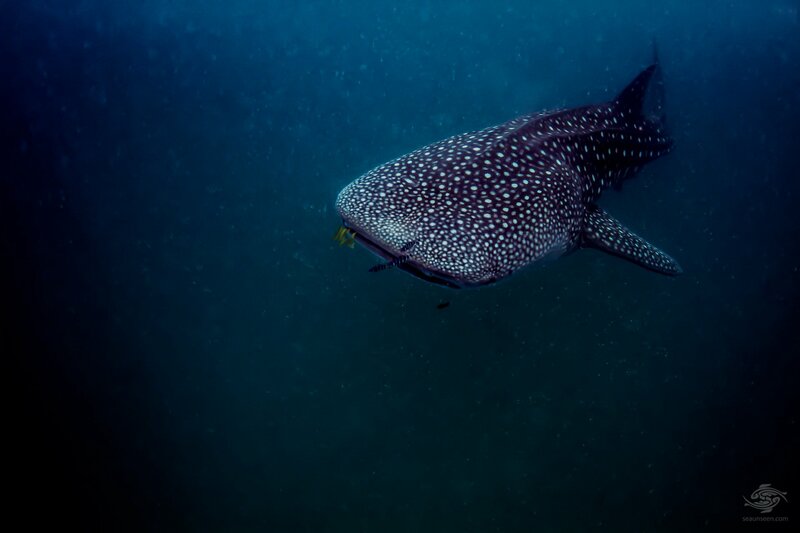 For whale shark watching you are virtually guaranteed a swim with the sharks from late November to early December but they are in the area swimming on the surface through to early January. The island has a long interesting history and early iron age pottery has been found in Mlongo and Ngombeni coconut plantations and on the islands of Chole, Juani and Jibondo as well as in the Kisimani area. Early settlers probably valued being on an island for protection. Research by the Tanzanian archeologist Dr. Felix Chami indicates that the ancient city of Rhapta, mentioned in the ancient document the Periplus of the Erythraean Sea and by Ptolemy the geographer during the second century, is highly likely in the area of Mafia Island and the Ruffiji delta. It has to be said that this is the most credible theory as to the location of Rhapta as all the geographical features match. To date the whereabouts has not been discovered but this is just a matter of time. In around 1200 settlements were established at Kua on Juani island and at Ras Kisimani probably as offshoots of the larger Shirazi settlement at Kilwa. If one knows where to look many of the copper Kilwa coins can still be seen. The remains of several circular furnaces are on the beaches at Ras Kisimani and several intact round furnaces are slowly being eroded out of the dune alongside the beach. Broken pieces of smelting pot with copper in the bottom have been seen on the beaches nearby and in the sea and almost certainly copper smelting took place on the island. In 1498 the Portuguese arrived in East Africa en route to India and a period of Portuguese occupation began in the area. A factory or fort was built on Mafia island with twelve soldiers from Fort Jesus in Mombasa garrisoning it. The location has never been found despite the early German explorer Bauman searching for it. Portuguese influence lasted until the fall of Fort Jesus in Mombasa in 1698, to troops under the Sultans of Oman who thereafter exerted their influence on the area and who later moved to Zanzibar with Mafia being subservient to them. British influence in the area first arrived in the form of HMS Leven in the early 1820’s under the Command of Captain Owen and she charted almost the entire east coast of Africa including Mafia. In the late 1820’s Saklava in war canoes sailed north from Madagascar and sacked the settlement at Kua on Juani Island. They took with them captives and sailed south towards Madagascar along the mainland coast. The Sultan based on Zanzibar hearing of this sent his fleet south armed with canon and they managed to trap the Saklava in the present day bay at Mtwara and there followed a three day battle with most of the Saklava being killed and the hostages being recaptured. The settlement at Kua was abandoned after this. After this the Sultan stationed Beluchi troops in the south of Mafia near Kisimani. In April 1872 the island was hit by a cyclone that uncharacteristically travelled further north than normal and this effectively wiped out the settlement at Ras Kisimani and reportedly dramatically changed the shape of the bottom of Mafia with the waves piling sand onto most of the settlement and destroying the balance. In 1890 Germany bought Mafia island and a strip of land on the mainland coast from the Sultan of Oman based out of Zanzibar and the first German resident arrived in Mafia in 1892. Prior to this the island was referred to by the Portuguese and others as Monfia with some small variations on the spelling and it seems that it was the Germans who changed the spelling to its present day spelling of Mafia. The Germans planted coconut plantations and built a customs house on Chole Island. After the outbreak of the 1st World War the German cruiser the Konigsberg based out of Dar es Salaam conducted several raids on allied shipping and then after damaging her engines retreated up the Ruffiji delta across on the mainland from Mafia. This led to a British invasion of Mafia island in 1915 via Ras Kisimani and a short shoot out took place on Dundani farm with the farmhouse at Ngombeni being hit by shells from the naval ships supporting the invasion. Mafia has the distinction of being the first place that seaplanes were used in warfare when aircraft were flown out of nearby Niororo island to try and find the Konigsberg. A large fleet of British Navy vessels was brought into the area, being anchored on the west coast off present day Kilindoni and the Konigsberg was eventually sunk. Mafia being part of German East Africa was administered by Britain as Tanganyika Territories and after the war in 1922 as Tanganyika. Bob de la Fontain started the Mafia Island Fishing lodge in Chole bay that later became world famous and some parties used to say that the famous author Ernest Hemmingway fished out of the lodge on a few occasions. Certainly his one son lived in Tanganyika for many years. Another interesting person was Sir Author Conan Doyle, son of the famous author of Sherlock Holmes fame who arrived on the island in 1950. According to eyewitnesses he was packing a pistol on his hip and had the stated intention of clearing the pirates out the Mafia Channel. As there were no pirates in the channel in those days he was received with some skepticism by the residents on Mafia. While he was on Mafia he managed to catch a 34.2 kg Dorado which is still an all Africa record. When he put out a chain with a large hook and a chunk of meat on it near the south entrance to Chole bay in the region of the present day Kinasi Lodge everyone laughed at him. Until one day the tide went out leaving a very large shark of about 3 meters identified at the time as a great white shark. 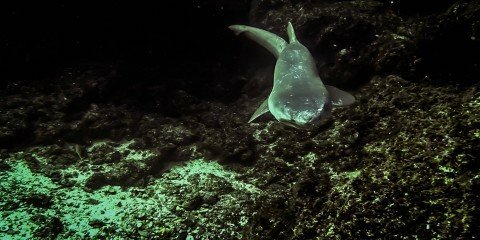 It is possible that when there was a large population of dugongs in the Mafia Channel that the large sharks came to the area to feed on them. Sadly there are very few dugongs left. Tanzania obtained independence in 1962 and today the island falls under the Pwani district on the mainland.